How can the concept of magic beans help our children to be successful in the new school year? I believe in magic beans, and the picture above is proof. 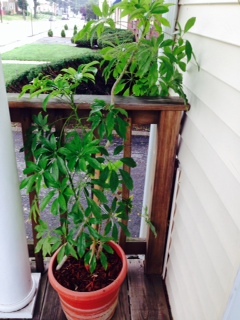 The plant in the picture came from a clipping of a plant originally cared for by my mother-in-law. Though Nana Doris passed away in 1982 before our children were born, we frequently told them stories about her, and every holiday make our special Nana Doris string beans. We took the clipping about ten years ago when we helped my father-in-law move out of the house into an apartment, even though the original plant had not grown. How could you not believe in magic beans? If your children need inspiration, visit my product page on inspiration. Have a wonderful last fling with summer, and a great school year!